The luxurious bubbly you never knew existed, and how to try it now. It only makes sense that the official wine partner of Milan Fashion Week is on a quest to make the world’s silkiest wine. The Satèn style of Franciacorta was created with the goal of recreating Italian satin in wine form—a nod to the industry that has helped shape the history of winemaking in Northern Italy. This silky bubbly is unusual: sparkling but smooth, dry but distinctly creamy. It’s one of the softest sparkling wines out there, with subtle bubbles that amplify the buttery mouthfeel of the Chardonnay grapes. Franciacorta sparkling wine, produced just outside the Italian fashion capital, has long been a part of the region’s illustrious fashion scene, providing bubbly to tastemakers and designers for decades. With the Satèn style, it’s clear that Milan’s tradition of luxurious textiles has influenced the Lombardia region’s wine scene, too. So how does Satèn get so silky? The secret is in the science. Unlike some prosecco, the ubiquitous Italian table wine, Satèn is always made using the metodo classico—the old-school technique for producing bubbles through a second fermentation in the bottle, rather than cheating with added CO2. Satèn also ages with uncharacteristically low bottle pressure, around 4.5 atmospheres instead of the usual 6, which creates subtler bubbles. The process also requires attention to detail in the base flavors of the wine—Satèn must be, as per the French champagne tradition, a blanc de blancs (made almost entirely with Chardonnay grapes, or occasionally a Chardonnay-Pinot Bianco blend). Aging adds even more silkiness: at the very least, Satèn is aged on lees in the bottle for 24 months. For a vintage Satèn, make that 30—and for reserve, a full 60 months in the bottle. Franciacorta winemakers have perfected this delicate combination; the right mix of grapes, pressure, and time will guarantee a luxurious suppleness in the wine. Satèn isn’t the only vino Franciacorta—there are plenty of other styles, including rosé, rounding out a set of wines that are widely esteemed as the best bubbly in Italy. And all are named for their Denominazione di Origine Controllata e Garantita—the highest awarded classification for Italian wines. The DOCG itself is named for the pristine Franciacorta region of Lombardia, just east of Milan. Vine-covered hills are dotted with castles and medieval ruins, and centuries of winemakers have been taking advantage of the temperate climate, the winds off of Lake Iseo, and the well-draining glacial soil. A rising destination for gastrotourists, this region is home to the 80km Strada del Franciacorta—the Franciacorta Road, a coalition of winemakers who want to share their traditional viticulture with visitors. Franciacorta wines are already a mainstay in Italy, as well as in one other unlikely place. Data from the Franciacorta Consortium show that its top market (outside of Italy) is Japan, where it’s on every Italian menu. The reason? Japanese chefs who want to learn Italian cooking often train in Italy; they taste Franciacorta for themselves, and then bring it back home. The good news is that restaurants and importers in the U.S. are getting in on the trend, which means Satèn is increasingly available to American consumers. Monte Rossa was one of the first vineyards in the area to focus solely on sparkling wines—and it looks like the decision has paid off. 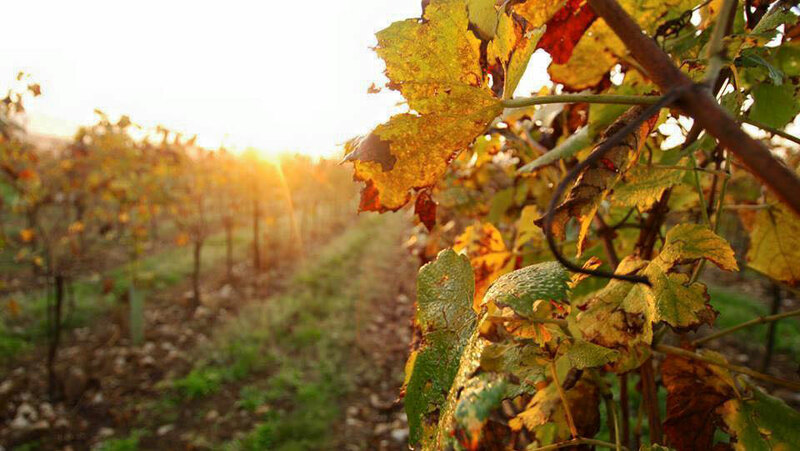 Barone Pizzini was the first winery to produce Franciacorta wines using organic viticulture; try their organic Satèn. Ca’ del Bosco, considered a leader in the Franciacorta DOCG, makes top-quality Satèn and other Franciacorta wines, as well as reds and whites in the Curtefranca DOC. For a sparkling wine with a "creamy aroma and notes of pastry," taste this Satèn by Ferghettina. The Bellavista winery was an early adopter of the technique and has been making quality Satèn for over 30 years.